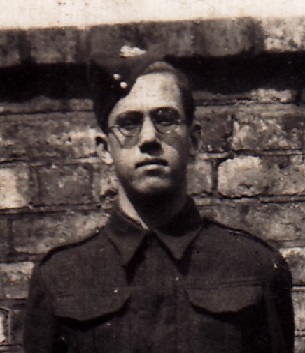 Graham Stevenson joined when he was 16 and served in Africa, including El Alamein, from ages 17 – 19. On their return to England, his unit was trained in the Sherman DD swimming tanks. He came in on Gold Beach and was wounded in hedgerow fighting on his first day in Normandy. Dates of Interview: April 12, 2012; June 7, 2012; ongoing.